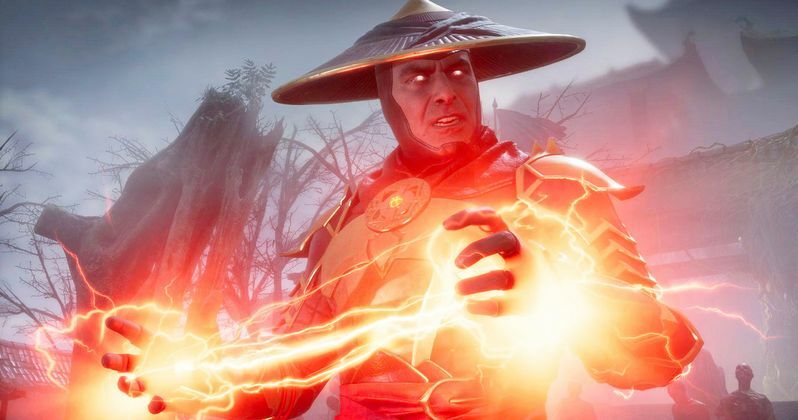 Nerdist's hit series Because Science has collaborated with Warner Bros. Interactive Entertainment to explore the science of Fatalities and iconic moves featured in the upcoming Mortal Kombat 11 videogame. The original limited series, The Science of Mortal Kombat, premieres Feb. 18, guest starring reigning UFC Heavyweight Champion Daniel Cormier, and marks Nerdist's largest production ever, highlighting the creatively brutal and visually stunning gameplay which the best-selling Mortal Kombat franchise is known for. The Science of Mortal Kombat will feature host Kyle Hill, professional Science Communicator and host of Nerdist's hit show Because Science, as he breaks down the science behind iconic Mortal Kombat 11 Fatalities, Scorpion's deadly spear attack, and powerful Krushing Blows with the help of special guests - Cormier and former WWE Champion, CM Punk. Kyle and YouTuber and Mythbuster Allen Pan will utilize special super slow-motion cameras allowing for enhanced visuals to analyze and break down each iconic fight move in Mortal Kombat 11, such as the pressure and strength needed to break bones, the scientific analysis of a character's superhuman abilities, and much more. The six-episode series of high-intensity fight re-enactments and behind-the-scenes footage will begin airing weekly via Nerdist.com and YouTube.com/BecauseScience on Feb. 18. and can be watched on Nerdist and Because Science channels any time after each Monday airing. Mortal Kombat 11 is the latest installment in the critically-acclaimed franchise, developed by award-winning NetherRealm Studios, and is scheduled for release beginning April 23 for PlayStation computer entertainment system, PlayStationې Pro computer entertainment system, the Xbox One family of devices including the Xbox One X, Nintendo Switch™ system and PC.